By signing up for P.F. 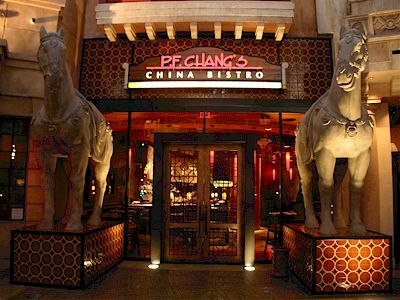 Chang's email list, not only will you receive your Warrior Card that affords you benefits in their restaurants, you’ll also receive special offers and coupons when available. Print coupon and get a free singaporefirecracker chicken or long life noodles with any entree purchase. Receive a 20% discount on any entree at a P.F. Chang's location near you. To redeem, print or show barcode on your mobile device. Enter your email address now to receive a $10 discount on your purchase of $40 or more. Valid at participating P.F. Chang's locations in the US.